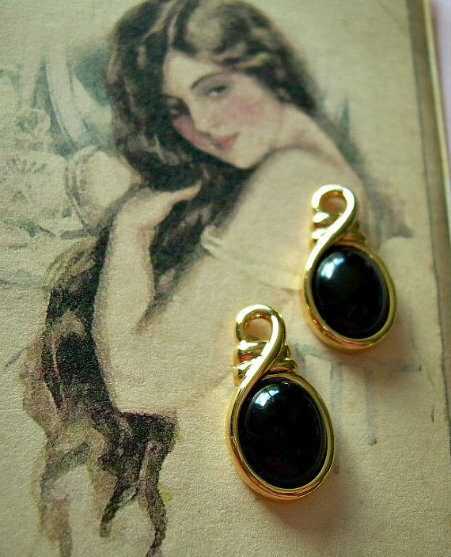 Gorgeous pair of Vintage Drops or Charms featuring Jet Black Glass Cabochon stones, which are set in Gold-Plated metal. Excellent QUALITY findings – the type used in Vintage Trifari costume jewelry during the years that Trifari was still made in the U.S. 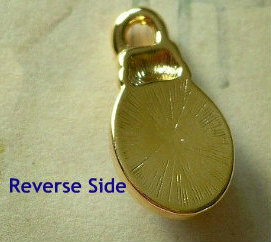 Perfect to use when designing earrings, pendants, purse charms, zipper pulls - you name it!